referred to by Marsh as the ecological plaque hypothesis . Oral saliva pH is important because of its role in oral and systematic health. Depending on the pH of saliva, it may demineralize or remineralize the tooth, cause or prevent decay, and may be an indicator of salivary gland pathology disorders. then the pH level of saliva of the oral cavity will increase significantly due to the alkalinizing chemical properties of sodium bicarbonate. Sodium bicarbonate, also known as baking soda, is the only active ingredient of Alka-White and Alka-White Turmeric. flow out of the cell) environment, leading to disruption of the fluid equilibrium of the cell and dehydration, plasmolysis (cell shrinkage due to loss of water by osmosis), and eventual cell death . The main and only active ingredient for both products are sodium bicarbonate. However, the combination of different inactive ingredients, such as coconut oil, tea tree oil, and natural peppermint flavor may affect the cosmetic and therapeutic outcomes of the active ingredient, sodium bicarbonate. The purpose and significance of this study is to provide evidence of effectiveness for two types of mouthwash Alka-White and Alka-White Turmeric. Good America litmus paper to determine pH, patient feedback to attain freshness of breath and Schick intraoral camera to picture whitening effects. This will be done on two test groups which include: Alka-White Mint and Alka-White-Turmeric. 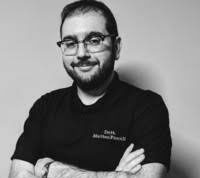 The experiment will consist of a random selection of at least 30 patients for each test group and will be conducted at Holistic Dentists in Manhattan, New York. name, gender, date of birth, race, and last time brushing, eating and drinking. 1) Greet Patient, introduce yourself and collect all introductory information. All introductory information may be found above. 2) Before taking any measurements ask introductory questions 1-3, which can be located on the questionnaire manual found below. 3) Ask patient to spit in cup and place litmus paper on spit to measure initial pH of oral saliva. 4) Use intraoral camera device to take photos of gum baseline. 5) Introduce patient to product and explain to patient how it is used. 6) Place one full tablet in cup with 100-millimeter water solution. 7) Wait 30 seconds for dissolve time. 8) Allow patient to rinse mouthwash for thirty seconds. 9) Re take measurements of step 3 and 4. 10) Ask questions 4-10 from questionnaire manual. 11) Thank patient for taking time out of their day to be with you. 12) Fill out rest of questionnaire and patient summary form. 13) Plug in data to Microsoft excel and neatly organize physical results in file. 14) Make sure all data is neatly organized digitally as well as physically before seeing next patient. 1) Which mouthwash do you currently use and is there a specific reason why you use that mouthwash? 2) What main factors drive you to buy certain mouthwash over others? 3) Price, flavor, brand, formulation and effectiveness are a few examples of factors. 4) Would you be interested in mouthwash that contains no alcohol and has natural essential oils and spices? 5) Did the mouthwash do an adequate job of removing malodor (bad breath)? 6) Would you say that you have fresher breath after rinsing with this mouthwash? 7) After reviewing the photos do you believe your teeth have gotten whiter? 8) What did you think overall of the product, were you satisfied? 9) If I were to ask you to describe this mouthwash to a friend, how would you describe and what would you say? 10) What adjustments would you recommend this product make? 11) Do you know of a relative or friend who would want this product? If so, why? After conducting the protocol on 31 patients for Alka-White Turmeric and 41 patients for Alka-White Mint, the following results have been determined. The average pH of the oral cavity saliva after the use of Alka-White Turmeric was roughly 1.5, while Alka-White Mint was approximately 1.27. One patient out of the 31 patients that used Alka-White Turmeric did not have fresher breath. Two patients out of the 31 patients that used Alka-White Turmeric did not notice their teeth getting whiter. 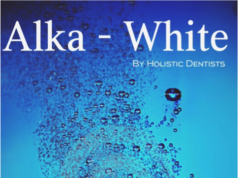 For Alka-White Mint, one patient out of the 41 did not have fresher breath and three out of the 41 did not see their teeth getting whiter. find the ideal conditions for promoting further pH drops and possible areas of demineralization of the dental enamel . 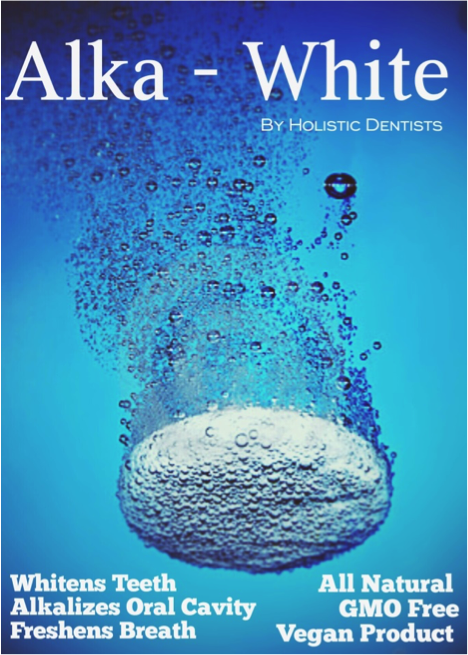 Currently, few types of mouthwash aim to alkalize the oral cavity. Providing evidence that mouthwash could alkalize the oral cavity could improve the overall health of a person’s oral cavity if they consistently use that mouthwash. Mint alkalizes the oral cavity, whitens teeth and freshens breath after a thirty-second vigorous rinse. or brush, two hours before testing. Furthermore, taking measurements 15 minutes, 30 minutes, one hour and two hours after rinsing, would further provide concrete evidence of effectiveness. 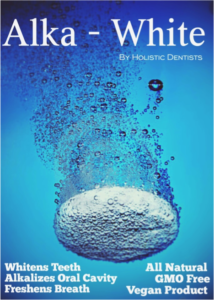 Both Alka-White mouthwashes, Turmeric and Mint, are both effective in alkalizing the oral cavity. No conflict of interest, researcher has no equity or monetary reward in business or results. Thanks to Holistic Dentists, located on 17 Park Place in New York, NY for providing equipment and space for study. Baliga Sharmila., et al. “Salivary pH: A Diagnostic Biomarker”. 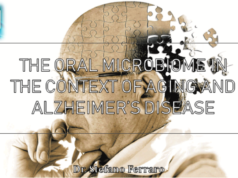 Journal of Indian Society of Periodontology 17.4 (2013): 461-465.
nucleatum”. Oral Microbiology and Immunology 12.6 (1997): 323-328. Food and Drug Administration: Oral Health Care Drug Products (2016). study”. Journal of Dental Hygiene 9.1 (2013): 56-59.
dentifrice in reducing plaque”. Journal of Clinical Dentistry 19.4 (2008): 120-126.